WIPOTEC-OCS metal contaminant detectors reliably detect any contamination of your products by the finest metal particles for food processing and packaging. Their usage provides greater customer trust in relation to the best possible product safety. Our detectors can be used both as stand-alone solutions and as space-saving combinations with WIPOTEC-OCS weighing technology. WIPOTEC-OCS food metal detectors document their inspection procedures in detail and contribute to the detection of sources of errors in production to increase consumer protection. This statement applies above all to the food sector, however non-food products such as nappies become even safer due to the usage of metal detectors. 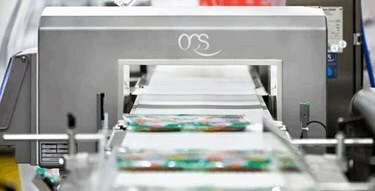 The machines impress with their simple operation on the intuitive touch display.